Bon Chon Chicken is at the second floor of SM City in Lipa. The worldwide food chain Bon Chon Chicken, which was started in South Korea in 2002, opened its store in Lipa City last 11 February 2015. The store is located at the second floor of SM City Lipa right next to the mall’s food centre. The Lipa store is the food chain’s second in Batangas and 84th in the entire Philippines. The other store opened last year at the SM mall in Batangas City, the capital of the province. 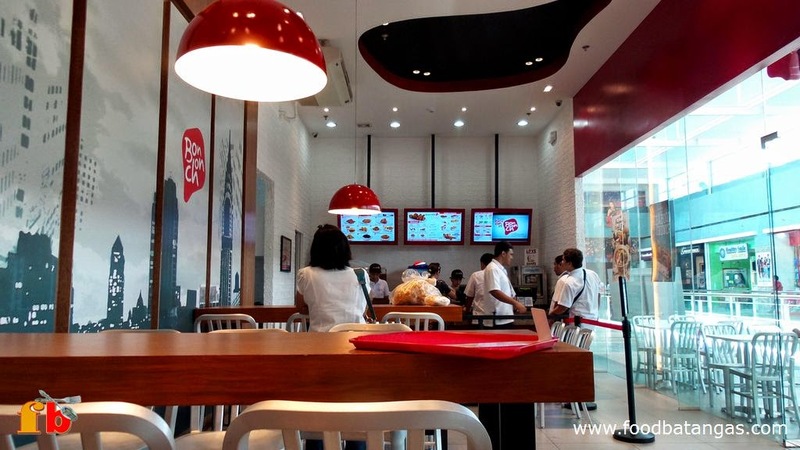 Bon Chon Chicken also maintains two stores in the neighbouring province of Laguna and four in Cavite. The name Bon Chon means “my hometown” in Korean. The global chain was started in 2002 by South Korean Jinduk Seh, who spent years working on the recipes and cooking techniques that would subsequently make its food offerings firm favourites among loyal patrons in ten countries around the world. 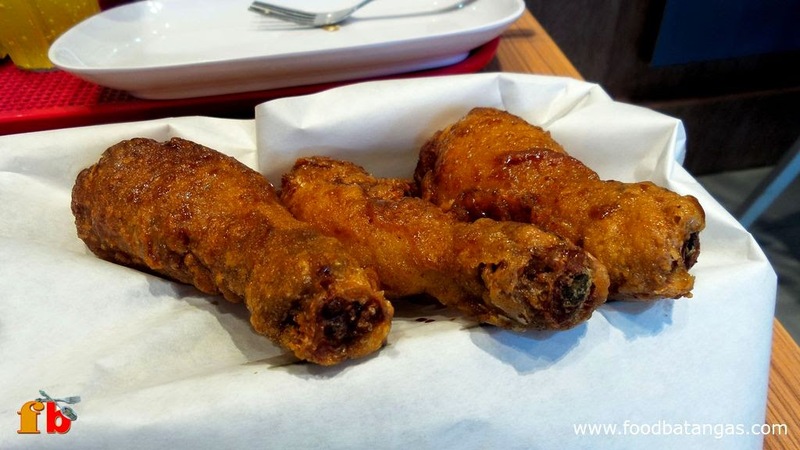 Chicken is Bonchon's bread and butter; and these drumsticks tasted as though straight from heaven. Chicken in Bon Chon’s bread and butter, and its main menu offers wings, drumsticks, chops and thighs cooked in soy and garlic, spicy or honey citrus. These are also available in combination boxes; as big boxes with as many as 50 pieces of wings or 32 pieces of chops; or as rice meals. For those who wish to stay away from chicken, the menu also includes Crispy Fish, Crispy Squid, Crispy Shrimp, Fish and Chips and Beef Bulgogi. Snacks include, among others, the glass noodle dish Chapchae, Calamari and the Mexican-inspired Fish Taco. 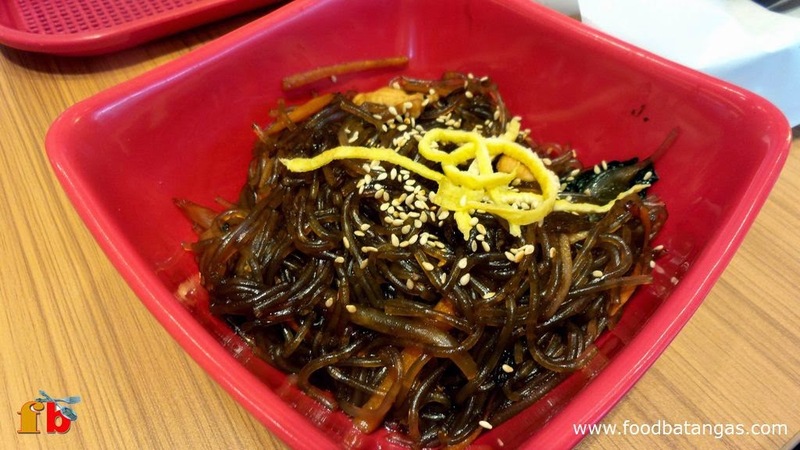 Chapchae, a glass noodle snack, is among the non-chicken snacks on offer. Bon Chon Chicken’s success story in the global market was catalysed by its entry into the American market in 2006. Its first American store was opened in New Jersey; and this was quickly followed by stores in the states of Virginia and New York. Having become a global brand in 2009, with headquarters in New York City, Bon Chon Chicken began setting up shop in untapped Asian markets such as Thailand and the Philippines, where the first stores were opened in 2010. At the Lipa store, customers begin lining up at the counter almost as soon as the mall opens. The company’s arrival in Batangas affirms the growing affluence in the province and is indicative of the discriminating tastes being developed by its citizens. 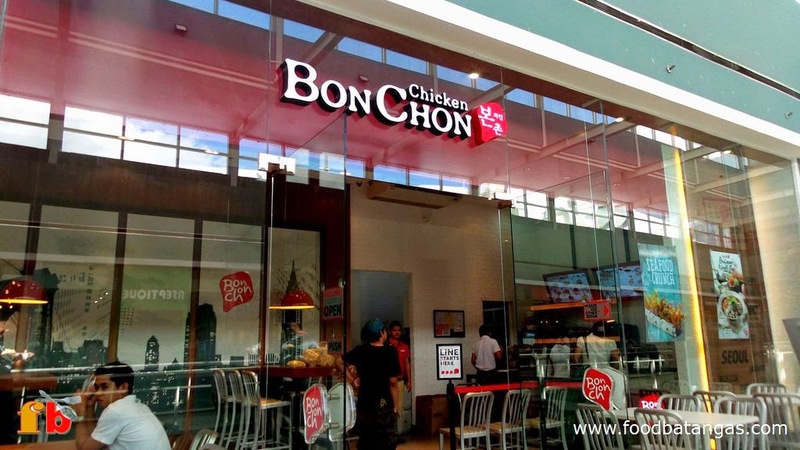 Bon Chon Chicken is but one of the branded food chains that have come in recent years. At the Lipa store, business continues to be brisk almost a month after opening as people of all ages come to see what the fuss is all about and leave determined to come back for more.